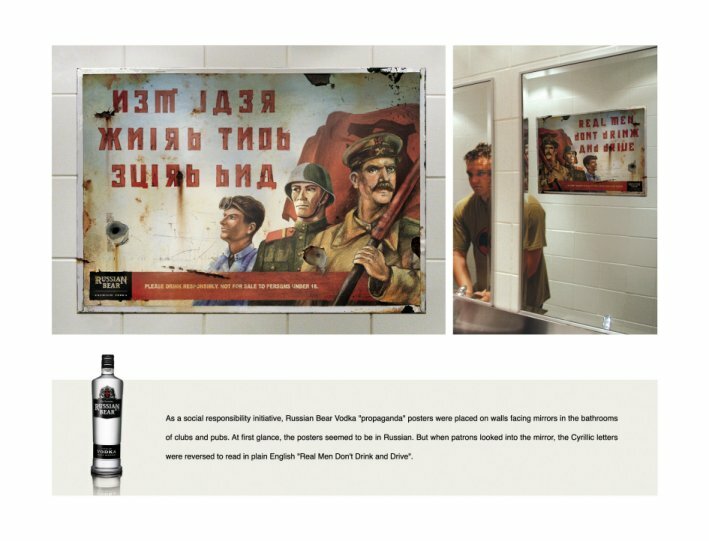 As a social responsibility initiative, Russian Bear Vodka “propaganda” posters were placed on walls facing mirrors in the bathrooms of clubs and pubs. At first glance, the posters seemed to be in Russian. But when looked into the mirror, the Cyrillic letters were reversed to read in plain English “Real Men Don’t Drink and Drive”.